Borgo Castelvecchi is a small village dating back to the Middle Age. In some old documents it is already known as “Castello et curtis” which means “village sorrounded by defensive walls” (“Carte dei Capitani di parte Guelfa” -1043); in fact still todays some of the buildings sorrounding Castelvecchi square are clearly part of the old defensive walls. During the High Middle Age Castelvecchi became one of the most important settlements of this area as it was built next to an old Roman road. Around 1000 A.D. Santa Maria Novella Church was built just below Castelvecchi ; its tower became the geographic centre of the Chianti Lega, which was an offensive alliance with the aim to defend the lands belonging to the Florentine Republic. 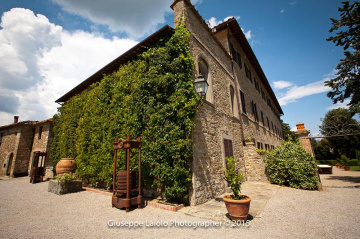 In this period Castelvecchi places itself under protection of the bishops of Fiesole and Florence, afterwords it was governed by the Monte Rinaldi Castle and finally it reached its autonomy. Around the end of the XIII century Castelvecchi was attacked several times by the Lords of Monte Rinaldi who wanted to conquer it because of its reachness. 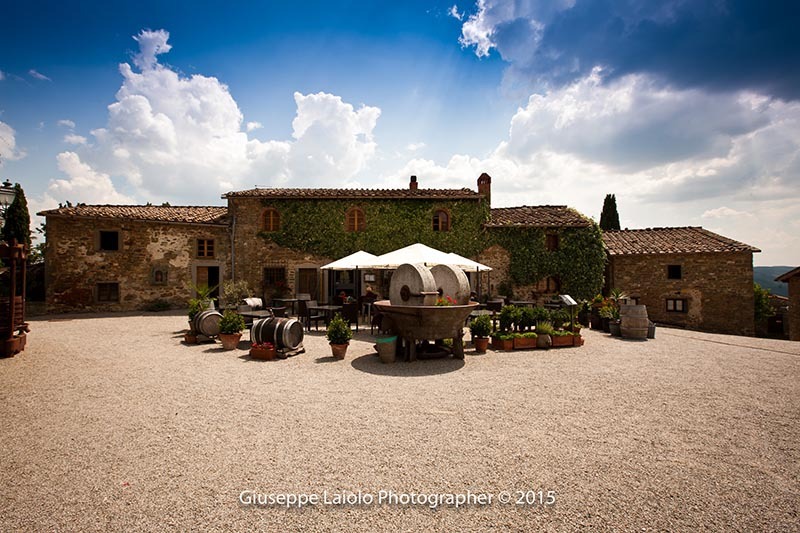 Then during the communal era Castelvecchi joined Chianti Lega - a big alliance between Radda, Castellina and Gaiole. 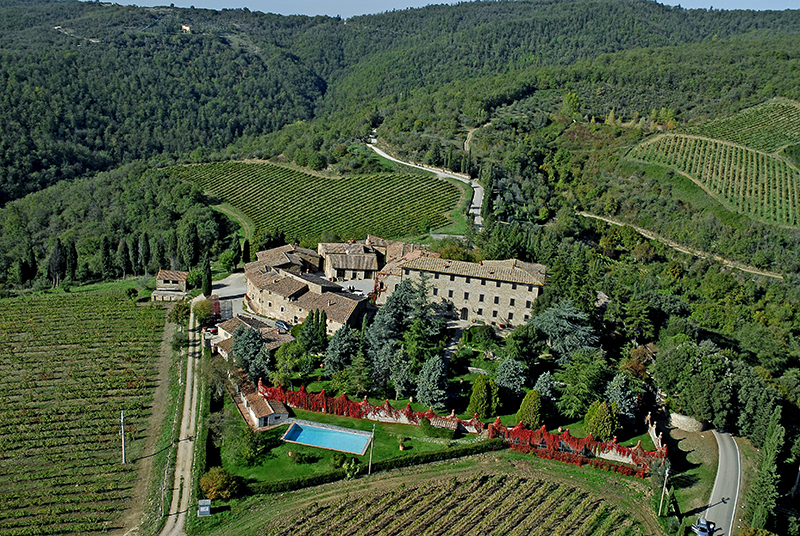 Its headquarter was in Radda (1384) and in this period Castelvecchi reached its utmost wellness. 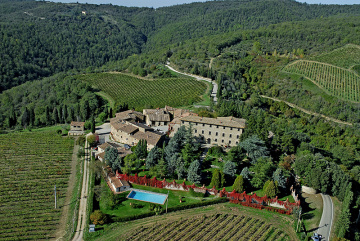 In the XVIII century Castelvecchi became one of the most important farms of the Chianti area and finally it became one of the properties of Don Urbano dè Vecchi who was a priest with very good relation with the Vatican. He was also a friend of the Tuscan Granduca right in the period in which the Chianti Lega was definitly broke up. 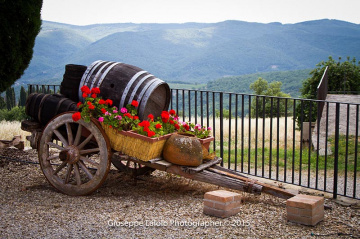 In this period the village took the name of Castel dé Vecchi (Dé Vecchi Castle) from the name of its owner, and later the name changed and became “Castelvecchi”. Don Urbano built the “villa” and the big park. 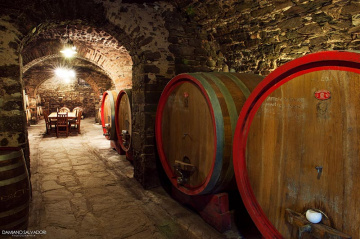 The historical wine cellars are located under the eighteenth century Villa, while rooms with wine aging barrels are located under the oldest part of Castelvecchi and date back to the XVI century. The large passage with the big candle-lit barrels made of chestnut wood is the proof of the importance of Castelvecchi in the past. The Church, entitled to San Michele, was built in the XVI century and restored by Don Urbano dé Vecchi in the XVII century and it is still furnished with all its original ornaments. In the Church it's also possible to admire an antique pipe-organ of great value (XVII century). In spite of its private nature – the Church was a private chapel – its wideness is another proof of the importance of Castelvecchi. The restaurant is located in the old farm oil-mill dating back to the Middle Age and its striking element is the beautiful group of arches realised in fire-bricks. In 2005 the Cultural Heritage Agency of Siena (Soprintendenza ai Beni Culturali) made a deep study on the historical archives of Castelvecchi which still includes its farm ledgers (Libri Mastri) starting from the beginning of the XIX century.